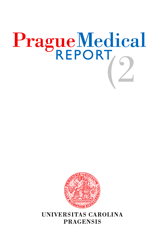 Prague Medical Report is an English multidisciplinary biomedical journal published quarterly by the First Faculty of Medicine of Charles University. Prague Medical Report (Prague Med Rep) is indexed and abstracted by DOAJ, EBSCO, Index-medicus, MEDLINE, PubMed, and Scopus. Prague Medical Report was founded as Sborník lékařský in May 1885. Since 2004 it is a fully reviewed scientific journal in English. The journal makes public primary scientific publications, short communications, casuistry, and reviews. It contains articles based on eminent specialised lectures and symposia.